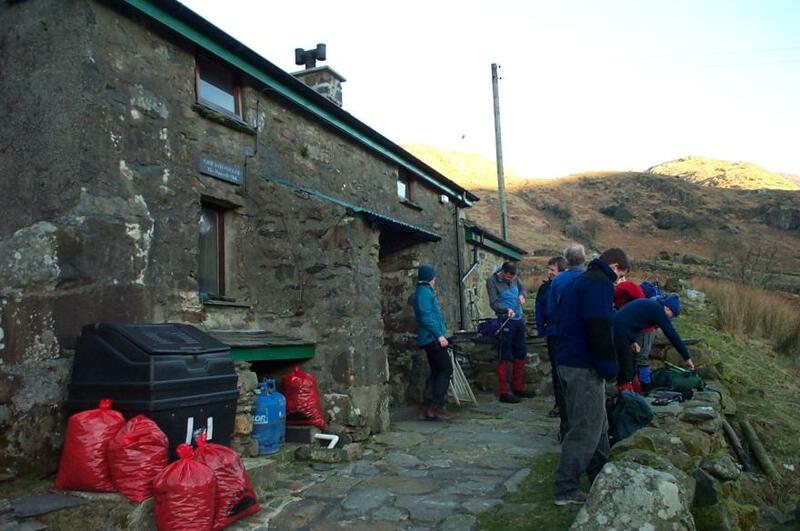 The February meet of the Vibram Mountaineering Club was at Cwm Dyli Cottage which belongs to The Pinnacle Club. 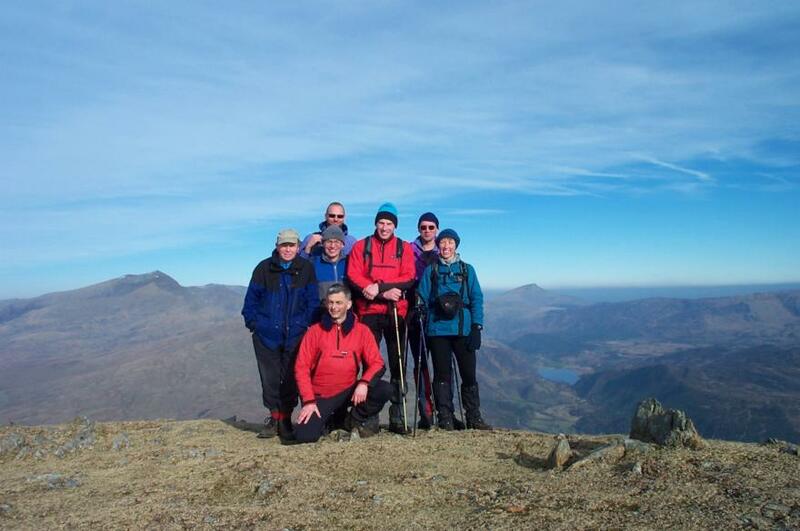 This is one smart hut and it is ideally situated for having a go at the Snowdon Horseshoe. 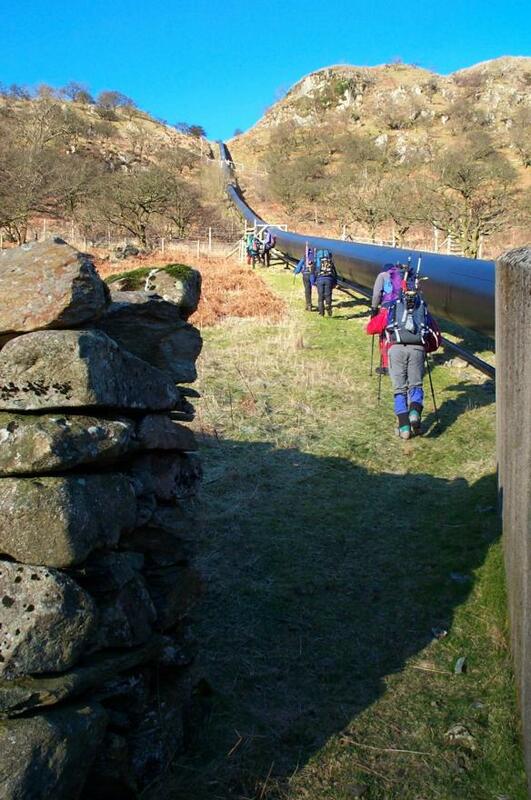 If you've ever walked in the area you may remember a large pipe that runs from Llyn Llydaw. This carries water to a small (10MW) hydro-electric power station in the Nantgwynant valley - right next to the hut. 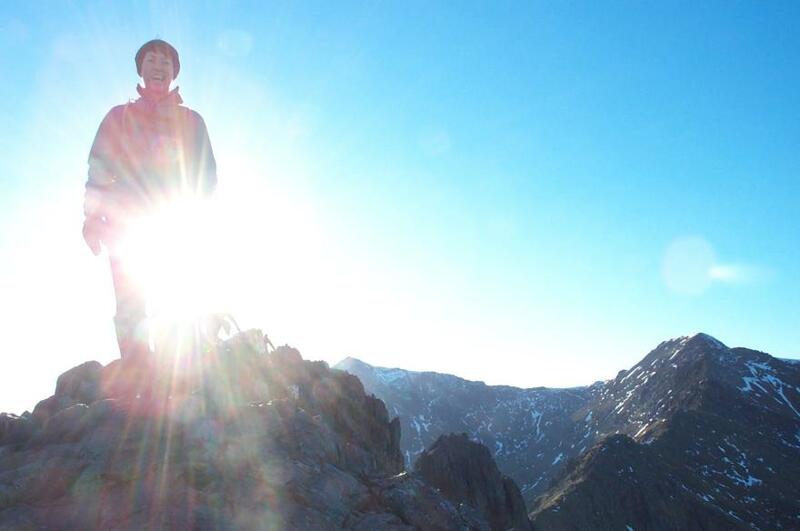 As it was the middle of February we expected there to be plenty of snow around so we set off carrying crampons and ice axes hoping to find some snow gullies. This is Cwm Dyli itself, with the pipe snaking its way to the lake. 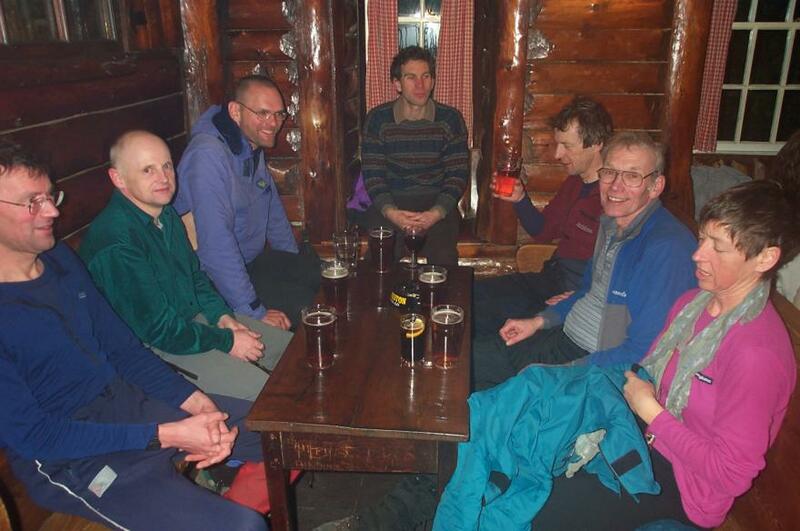 We soon realised that we were out of luck with the snow and decided to go for the complete horseshoe instead - clockwise. 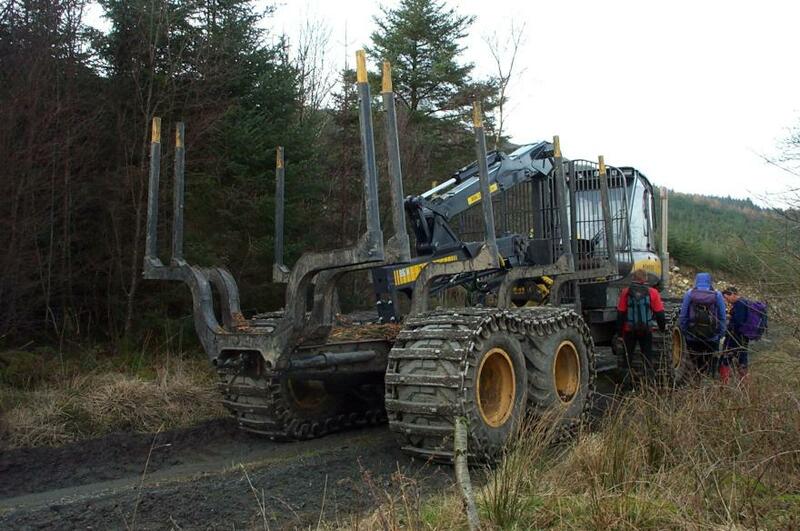 It's quite a haul up to Gallt y Wenallt, especially with all that extra hardware, so we were soon stripping off. The skyline forms our objective for the day. 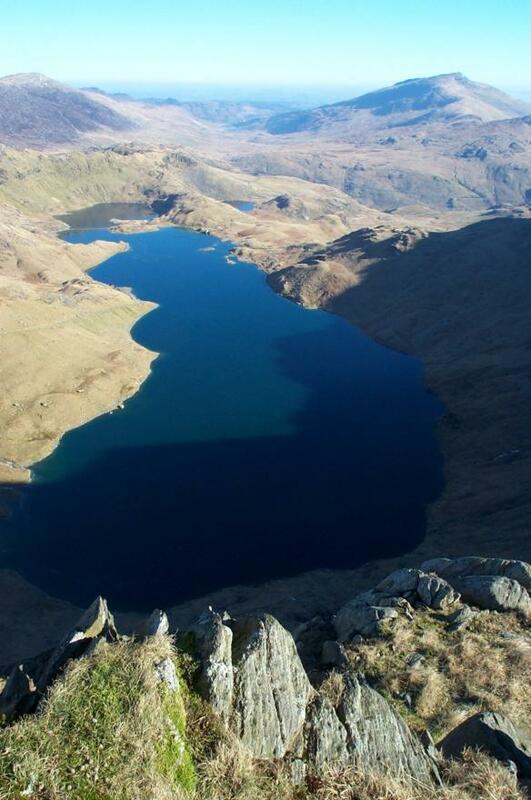 On the left is Y Lliwedd (898m), then Snowdon itself (1085m), then Garnedd Ugain (1065m) and Crib Goch (923m). 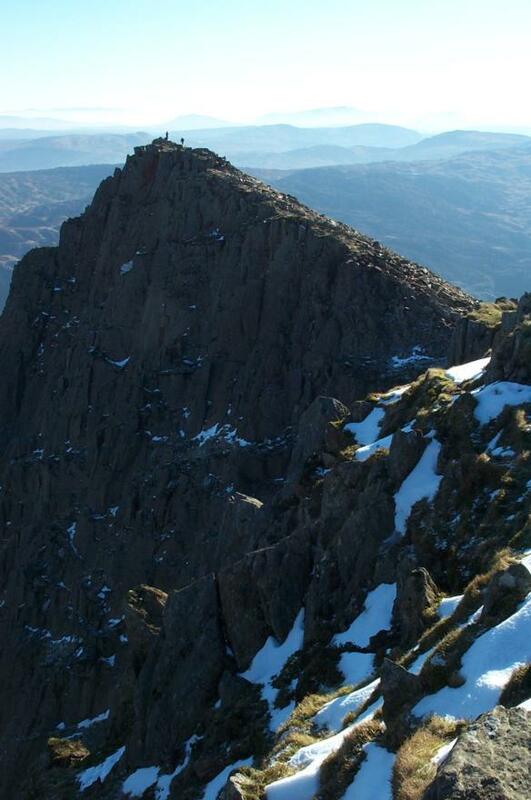 This is looking back on Y Lliwedd showing its north face. At 370m this is the tallest wall in the UK outside the Scottish Highlands. There are some classic easy climbs - but not today thanks. It would be pretty chilly in there, out of the sun and with plenty of thick ice to worry about. A view of the lake, Llyn Llydaw, with the causeway across it. The pipe starts at the building on the shore to the right of the causeway. 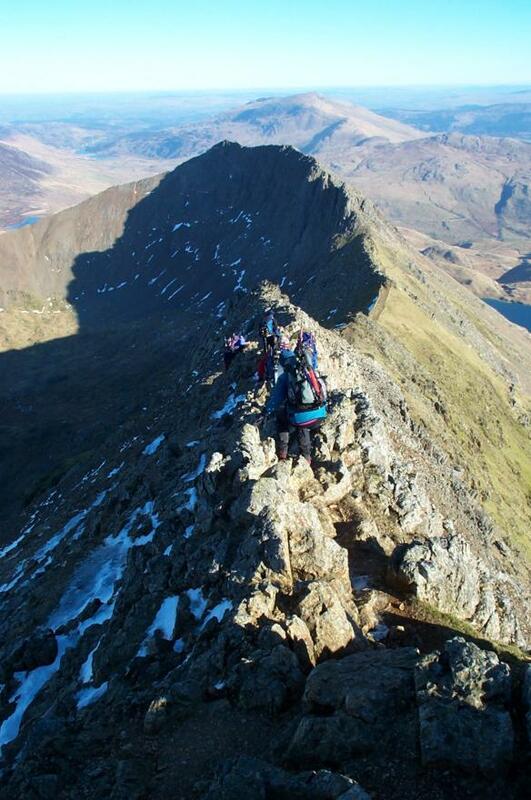 A quick scramble up the ridge and we are there - the summit of Snowdon. I think this was my sixth visit but the first time that I was able to see more than a few yards. And what a view it was too. It was very busy and I had to keep asking people to move out of the way to get this panorama from the summit cairn. WARNING: big file - over 500 kbytes. 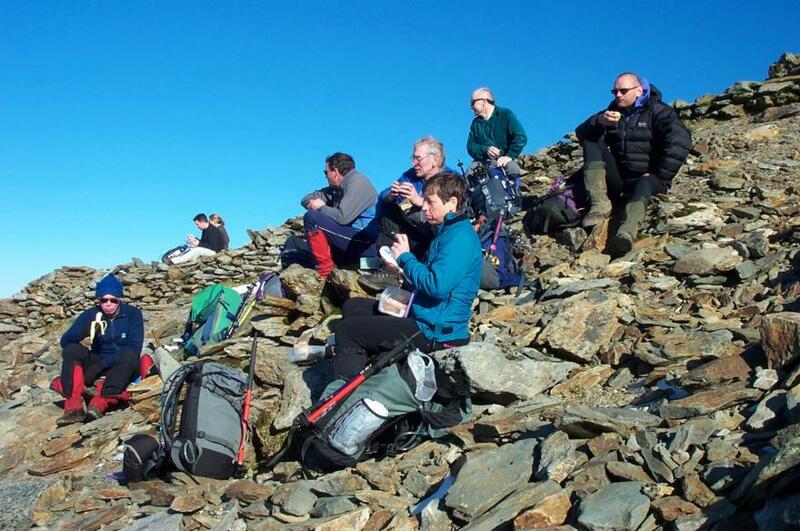 It was distinctly chilly as we sat overlooking the station having our lunch - still, at least we had warmer clothes than some of the people up there! 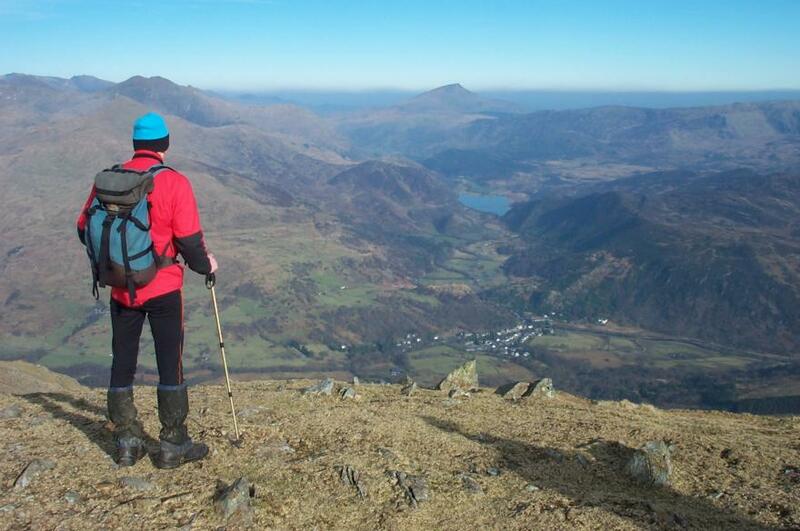 Looking back to Snowdon from Garnedd Ugain. I hadn't realised before how tall and steep it is in there. The ridge of Grib y Ddysgl is pretty narrow and Anne was starting to get the wobbles. 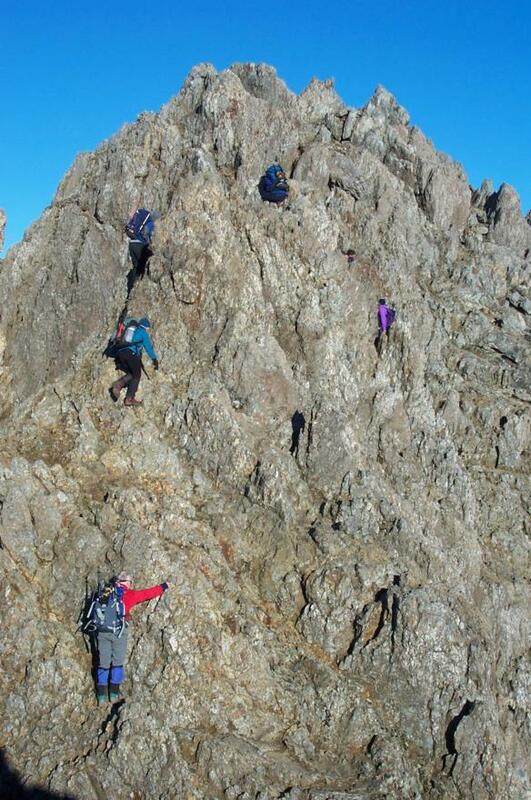 The action is frozen as we climb up again towards the summit of Crib Goch. 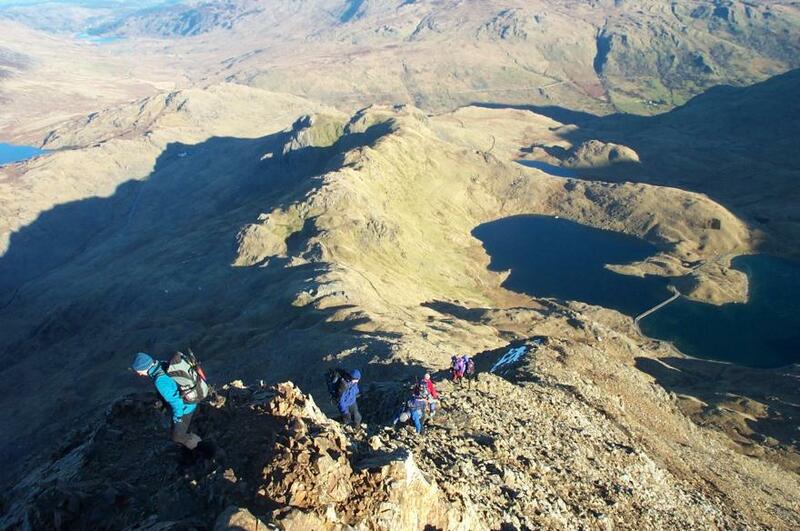 The descent from Crib Goch is tricky and not something I would want to do in the dark. However, this didn't seem to deter a number of people who were still ascending. 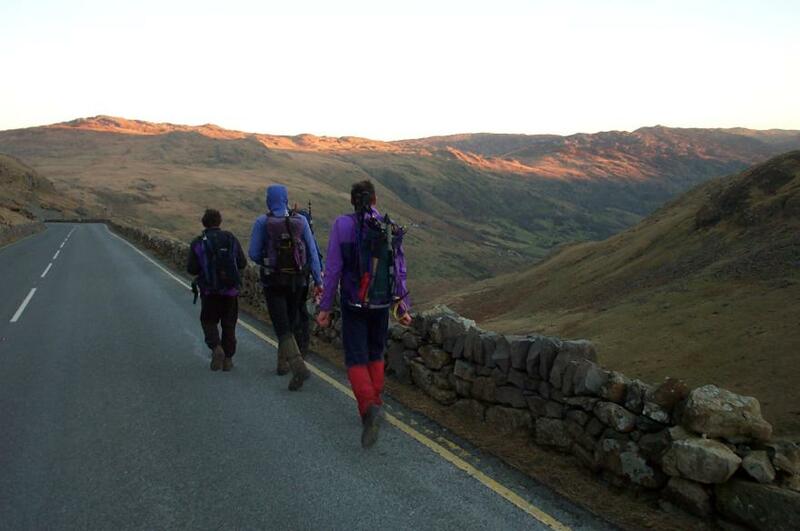 We followed the ridge all the way down to the Pen-y-Pass youth hostel (just visible in the shadow). ...to the Pen-y-Gwryd Hotel where we sat in the Everest Room beneath a ceiling covered in the signatures of many famous mountaineers - there's even one from an "E.P. Hillary". Aparently, the 1953 Everest team stayed here when they were training and those that are left return every 5 years. 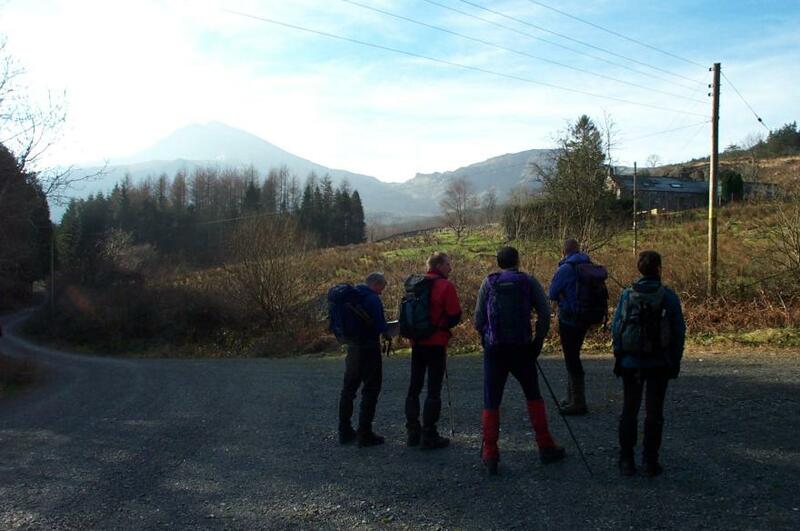 Another fine day dawned so some of us opted for a ridge walk taking in Moel Hebog. 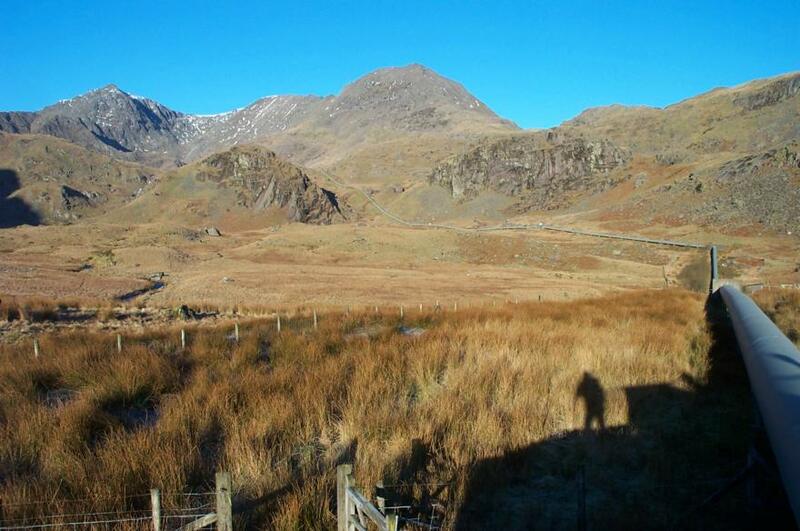 We squeezed into two cars and drove to a car park in Beddgelert Forest. The trouble with forests is that tracks and paths are not always where they're marked on the map. 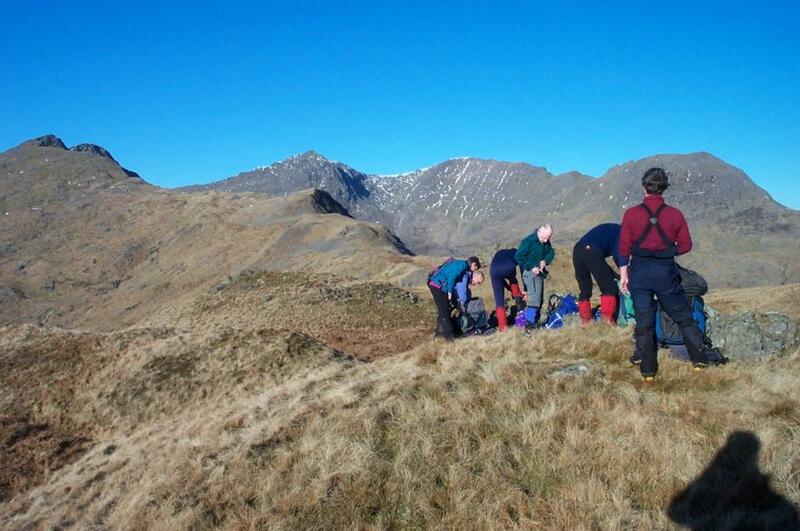 Anyway, a bit of head scratching gives me the opportunity to capture the team with Moel Hebog in the background. 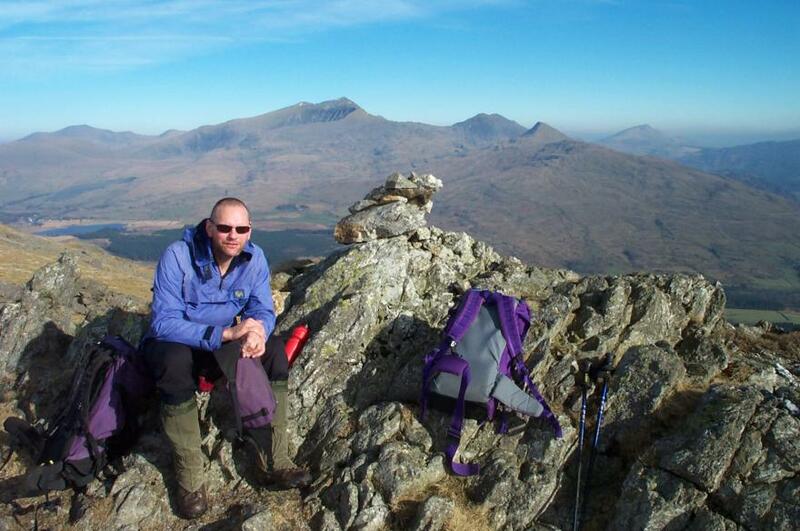 Our first top is Moel Lefn where Andy is looking cool with Snowdon and Y Lliwedd on the skyline. In front of them is the nicely shaped Yr Aran and in the distance, to the right, is Moel Siabod. 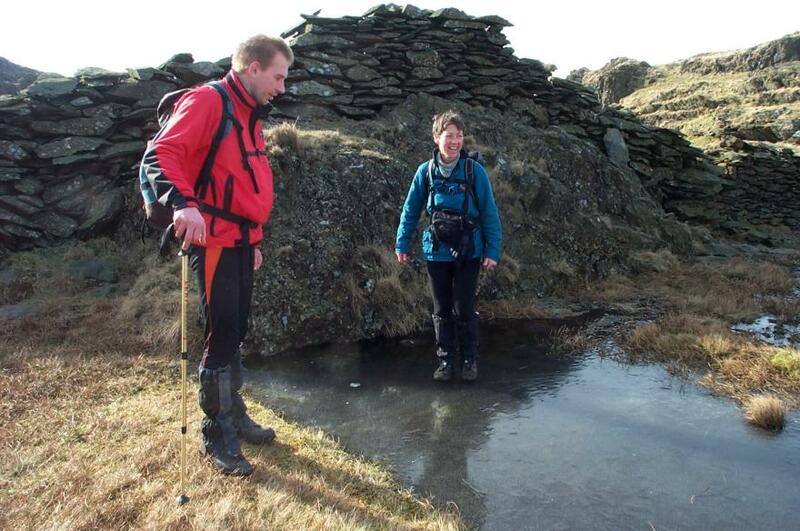 Steve is giving instructions to Anne on how to walk on water. 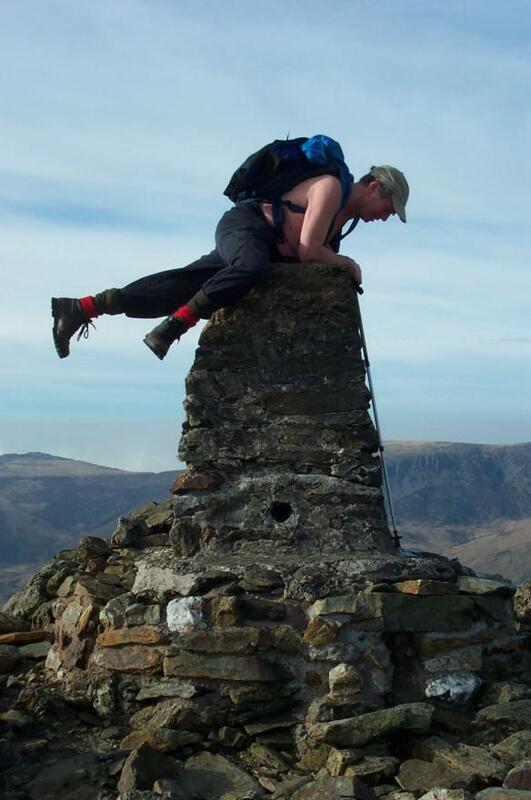 This is at the col between Moel yr Ogof and Moel Hebog. Another panorama, this time from the trig point on the summit of Moel Hebog (782m). 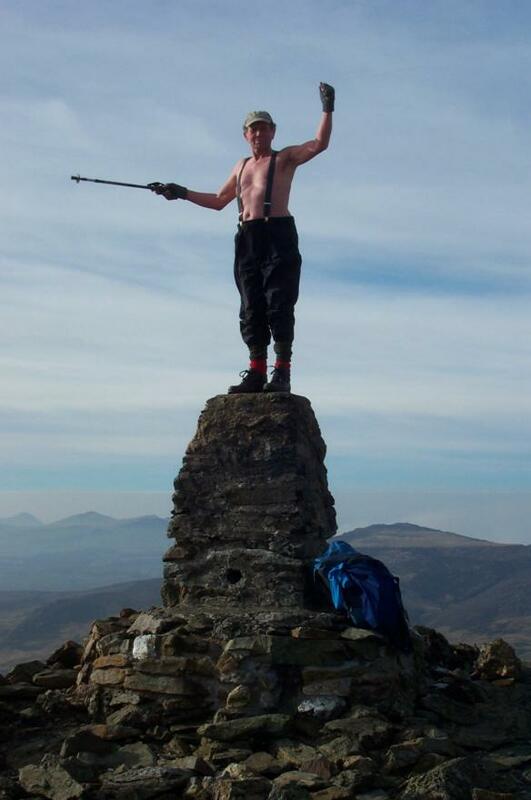 I rate Johny G as a climber (he has his name on the first ascent of Poor Man's Peuterey ~ Tremadog in December 1953) but he made a meal out of getting on the top of the trig point - kept us all in stitches for ages. Steve surveys Beddgelert and environs. Time for a team photo. Now where did I leave the zoom button? On the way back through the forest we found this rather nice, and probably expensive, toy.